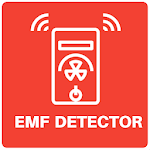 EMF Detector can measure EMF (ElectroMagnetic Field) Radiation around you. 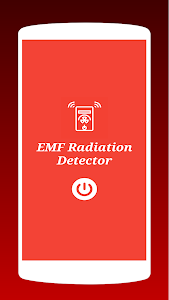 EMF Detector - Radition Meter App detect radiation emitted from electronics devices like Mobile Phone, Laptop etc. EMF Radiation Meter uses your phone's inbuilt EMF sensor to detect Electromagnetic waves around you. To use the EMF Radiation Detector App, you just have to move your phone around the electronic device (Mobile, Laptop etc.) 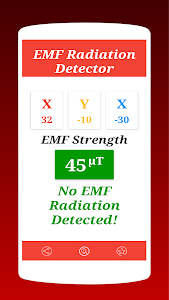 to find out the EMF radiations. EMF Radiation Meter gives the magnetic field reading in µT (microtesla) which is equal to 10 mG (milligauss). - Detect hidden devices like Cameras, Mobile Phones etc. 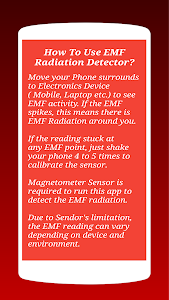 The EMF Detector App detect ElectroMagnetic Field by using phone's inbuilt sensor called MagnetoMeter. The readings may vary due to Sensor Quality.